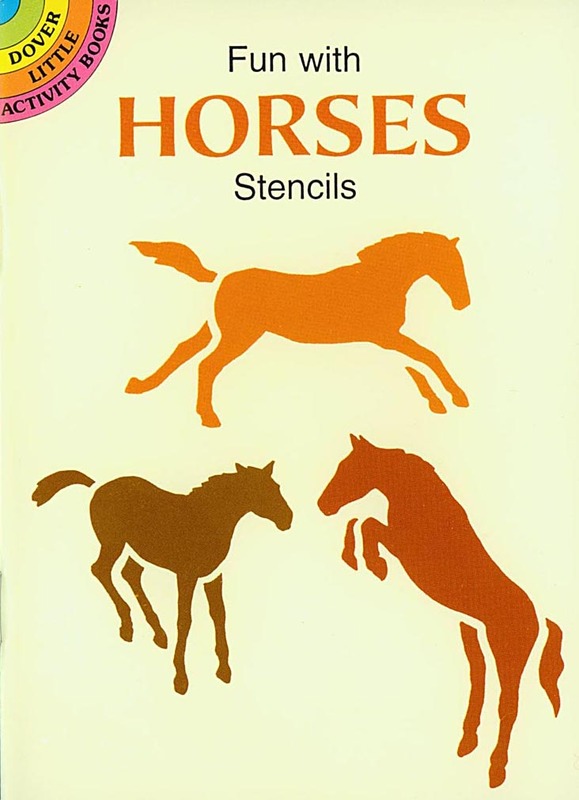 Horse lovers will have hours of fun with the brightly colored pre-cut stencils in this appealing collection. Six sturdy designs depict "man's second-best friend" engaged in a variety of equine activities: running, grazing, leaping, and trotting. Ready to help decorate bulletin boards, posters, walls, furniture, and other flat surfaces, these multi-purpose stencils will also appeal to graphic designers and craftworkers.